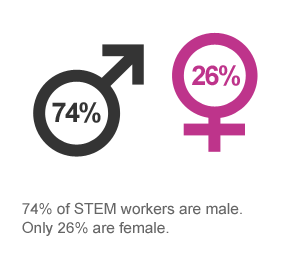 It may not always feel like it, but there has never been a better time for women to pursue STEM careers, and for girls to set STEM careers in their lifetime goals. For girls, I use the term “set” instead of “include” because so many girls who are building their skills in math and science already are planning to join the next generation of innovators. Their challenge is lack of encouragement and role models, not lack of ability. For women, the challenge can be maintaining patience with an industry that is changing for the better – steadily but slowly. The Global Marathon is a free, virtual conference that began on March 8 and continues through Thursday, March 10.